Looking for a roommate? Renting out your space? Several current and incoming students are looking for summer housing and long-term housing for the 2018-2019 academic year. 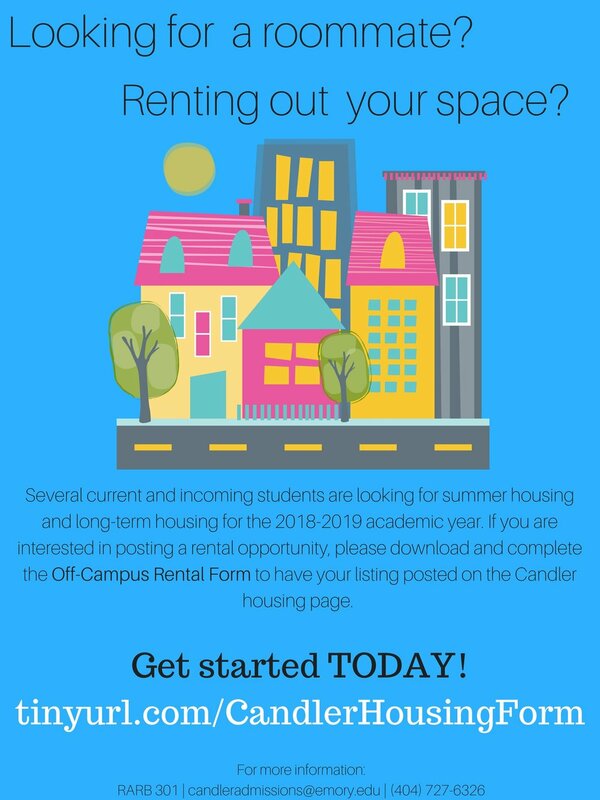 If you are interested in sharing a rental opportunity, please download and complete the Off-Campus Rental Form to have your listing posted on the Candler housing page. Get started TODAY at tinyurl.com/CandlerHousingForm. For more information, email candleradmissions@emory.edu, call 40-727-6326, or stop by RARB 301.